WATCH: Super Bowl Ads Already Generating Buzz : The Two-Way The big game may be days away, but commercials featuring a Helen Mirren soliloquy, Pokemon, a Drake "Hotline Bling" spoof, Ryan Reynolds and, of course, puppies are already getting attention online. Advertisers used to guard their commercials until they aired on TV. Now, advertisers harness the power of Internet virality and release ads before the big game. 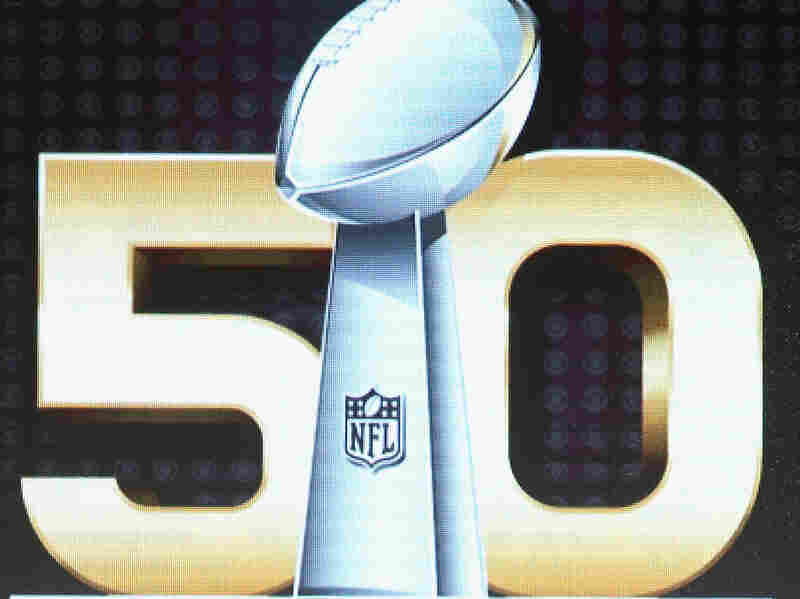 The Super Bowl is still five days away, but for advertisers the game is already in full swing. Once upon a time, companies that shelled out for a coveted Super Bowl ad jealously guarded their commercials until they aired during the big game. Nowadays, it works a little differently. Companies have realized the value of releasing teaser commercials or even full advertisements before Super Bowl Sunday, trading the element of surprise for the possibility of having their ad go viral. As the Los Angeles Times reported last year, some experts say this all started when Volkswagen released its 2011 Super Bowl ad in the days leading up to the game. You probably remember the commercial: As the Star Wars theme song plays, a little kid dressed in full Darth Vader regalia attempts to use "the Force" on all manner of things, including a baby doll, an unimpressed dog, and an exasperated mom. Thwarted, the child tries his or her luck on the dad's Volkswagen. To mini-Vader's surprise — and thanks to Dad's operation of the car's keyless start capability — the car jumps to life. The ad went viral, racking up 11 million views online by the Saturday before the Super Bowl. Five years later it has nearly 64 million views on YouTube, cementing advertisers' belief in the power of Internet virality. Many of the ads that will air during Super Bowl 50 were released this week and a few are generating a lot of buzz. Without further ado, here are five commercials already getting attention online. 1. Budweiser — This year, the beer company eschewed adorable puppies in favor of a spiny anti-drunk-driving speech delivered by British actress Helen Mirren. The Washington Post wrote an article about it, headlined: "Helen Mirren elegantly eviscerates drunk drivers in Budweiser's Super Bowl ad." 2. T-Mobile — How do you get people talking about your product? Try incorporating one of the most talked about music videos of the year into your commercial. T-Mobile even got Drake to play along. 3. Pokemon — Millennials, this ad is for you. Celebrating two decades of the Pokemon franchise, the commercial features favorites like Charizard and Pikachu, as well as "trainers" from around the world. The ad is the first part in a yearlong campaign to celebrate 20 years of Pokemon, the company said in a statement. 4. Hyundai — Ryan Reynolds riding a bike, Ryan Reynolds as a police officer, Ryan Reynolds with a jackhammer, Ryan Reynolds playing football, Ryan Reynolds walking dogs. You get the idea. 5. Heinz — Puppies. Budweiser dropped 'em, but Heinz won't leave you hanging. Watch a herd of adorable dachshunds dressed like hot dogs frolic in a field in slow motion. Bet you can't watch without smiling.